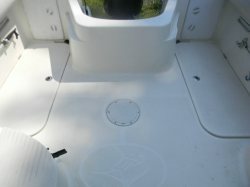 Looking for a walk around fishing boat? 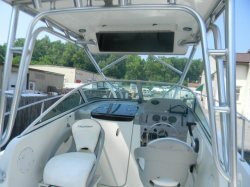 Try this one, it is a 2008 Trophy 2102 Walk around..This boat has all the fishing amenities the weekend angler is looking for. 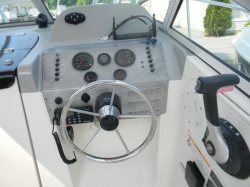 It comes with a hard top with canvas enclsure, rocket launcher style rod holders, spreader lights and an overhead electronics box to house your VHF radio and Fish Finder. 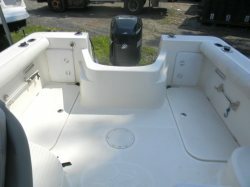 This boat also comes with a GPS, AM/FM CD Stereo, compass, spotlight ,2 fish boxes, baitwell and additional flush mounted rod holders built into the gunnels and has the coaming pads port and starboard.. 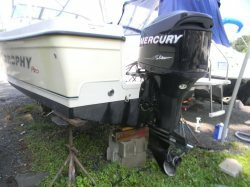 It is powered by the Mercury 150 hp outboard. 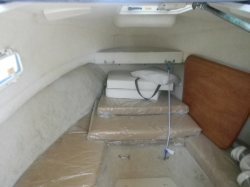 Down below deck the boat features a cuddy cabin which is designed to sleep two people or to use it as a settee. 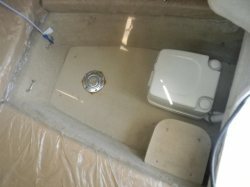 Comes complete with a port-a-potty with pump out! 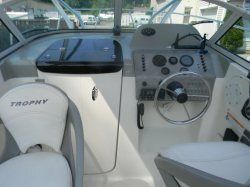 The cockpit has seating with two padded buckets seats port and starboard and jump seats iat the stern..At the transom, there is a swim step with a built in boarding ladder. 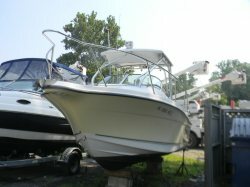 This boat is on display now and FOR SALE BY STORMKINGMARINE IN NEW WINDSOR, NEW YORK, 12553 at our location. 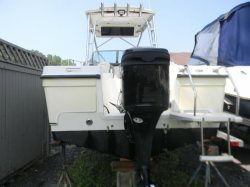 Call us today to find out more about this boat.